It didn’t take long for Tobias Harris to give back to the Philadelphia community. The 76ers power forward will host the Game Changers: Women in sports, Tech & Literacy panel discussion on Thursday at the Shepard Recreation Center. Harris will be the moderator of a panel that includes NBA Sport Philadelphia’s Serena Winters, Sixers data scientist Ivana Seric, CNN contributor Maya Francis, and Philly Startup Leaders executive director Kiera Smalls. The panel is for more than 40 middle-school girls. Harris, an avid reader, partnered with the National Education Association to challenge the young women to join Read Across America’s annual program. The Sixers acquired the 26-year-old in a multiplayer trade with the Los Angeles Clippers on Feb. 7. Jimmy Butler was known as a fourth-quarter assassin when the Sixers acquired him in a trade from the Minnesota Timberwolves in November. The Boston Celtics, the Charlotte Hornets (on Tuesday), and the Milwaukee Bucks (Sunday), learned that nothing has changed. Butler scored 15 of his 22 points, including three treys and the Sixers’ final bucket, in Wednesday’s dramatic rally against conference-rival Boston. 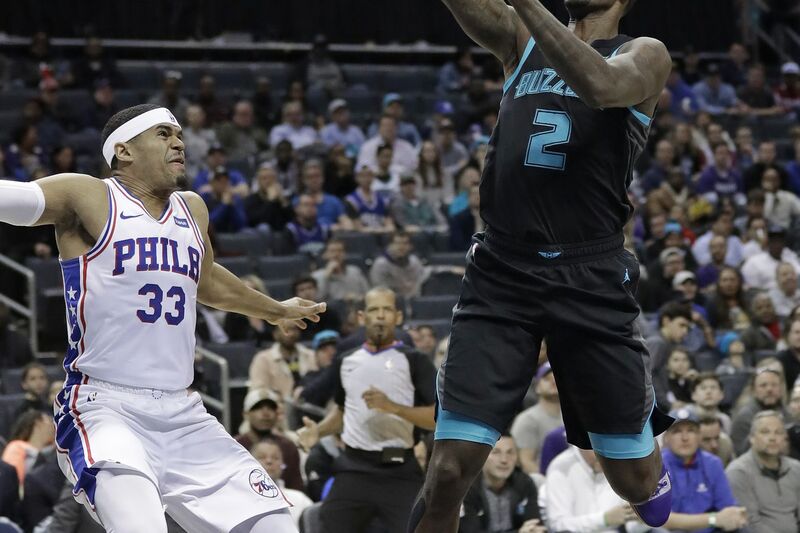 On Tuesday, he tallied 7 of his 23 points in the final quarter in the 118-114 win over the Hornets at the Spectrum Center. And Sunday, he scored 14 of his 27 points in the fourth quarter of the 130-125 victory over the Bucks at the Fiserv Forum. The Sixers made at least 20 foul shots in each of the last four games. Wednesday’s 39 free throws on 43 shots also marked the 46th time they’ve made 20 or more foul shots in a game. That is the second-most in the league behind the Los Angeles Clippers (49).